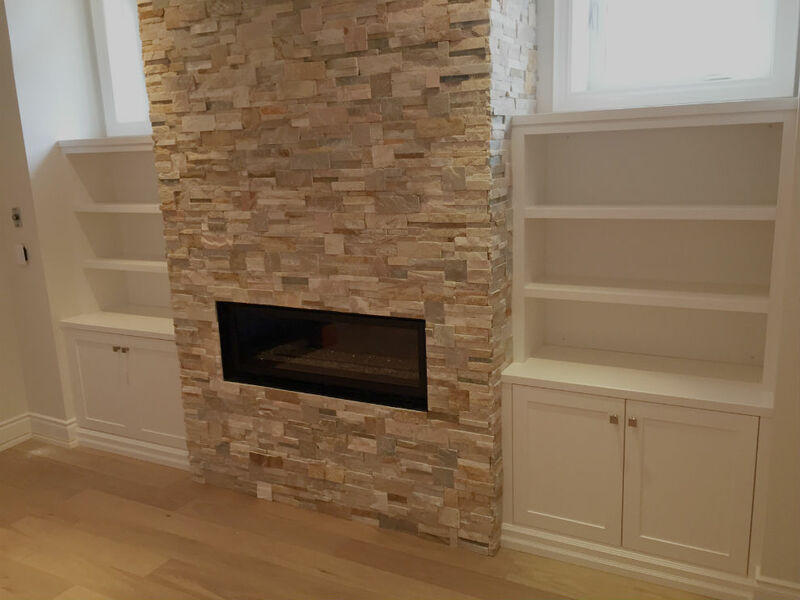 This Toronto wall unit was part of a basement home renovation project for our client. 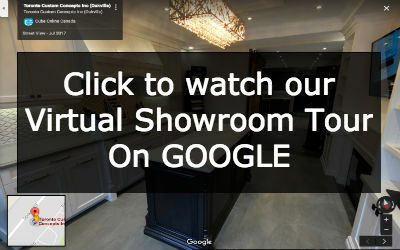 The wall unit is MDF that has been painted white in a shaker style cabinet. 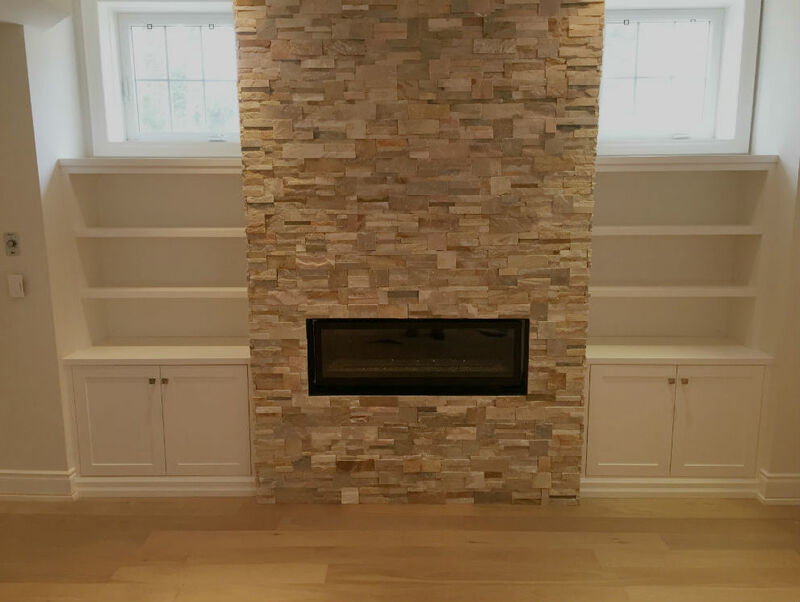 The custom built-in was designed with open shelves on the high portion with cabinet doors positioned along the bottom half of the builtin. 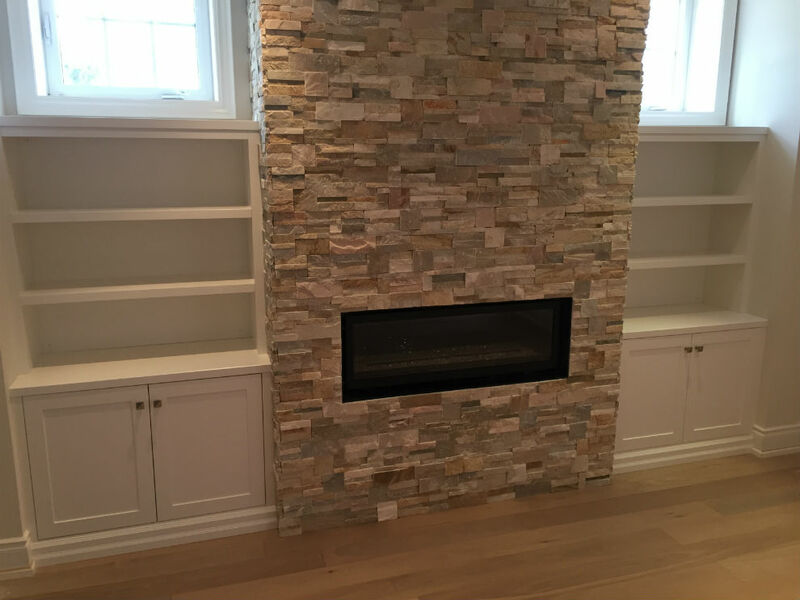 The middle section of the built-in has a light beige ledgestone running from floor to ceiling with a modern gas fireplace positioned in the middle of the wall unit.